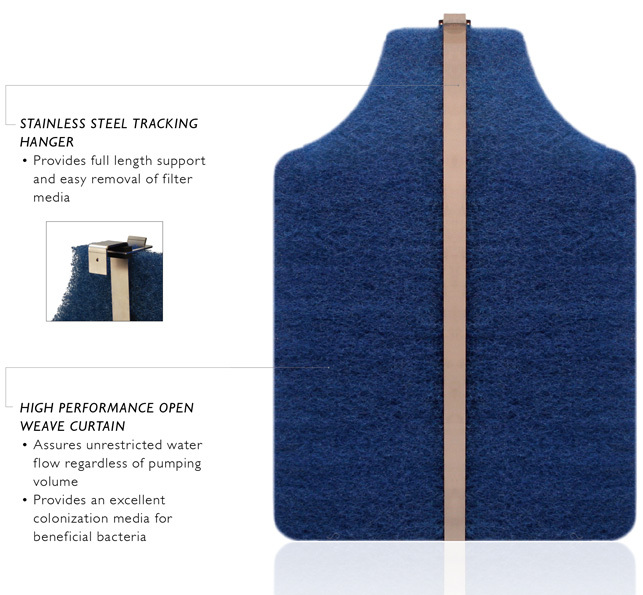 Placed on either side of the filter carriage, the BioCurtain™ Biological Filter for ponds provides a large surface area for colonizing beneficial bacteria to reduce ammonia toxins from fish waste and fish food. The stainless steel hanger positions on the Filter Tank rim providing easy removal and cleaning of the poly-flow filter media. The Filtrific® BioCurtain can be placed on either side of the filter carriage. Add bio-filtration as needed simply by adding a BioCoreTM bio-filter. Like all Filtrific® hardware, the BioCoreTM bio-filter fits easily within the Filter Tank. As water circulates within the Filter Tank, it is repeatedly exposed to beneficial bacteria within the BioCore, helping to reduce ammonia toxins from fish waste and fish food. The BioCore™ is suspended out-of-sight inside the hidden pump chamber instead of visually hindering key areas of the water feature. 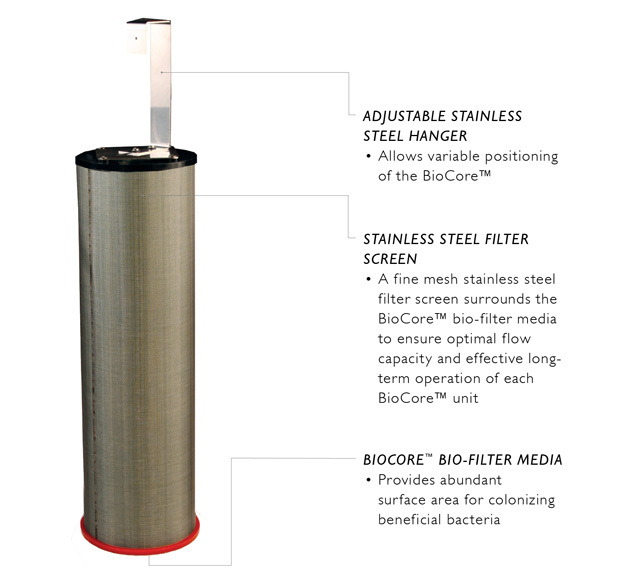 The stainless steel filter screen around the BioCore media provides a large surface area for colonizing bacteria.